Duke of Iron prides itself on creating custom ornamental iron products. 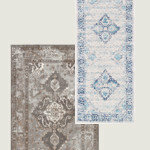 We focus on using high end products to create a timeless and unique feel in your home. 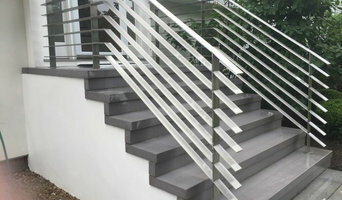 We can create anything from stainless steel rails, to grand staircases. Paul Montelbano has over 36 years of experience with metalworking. He learned his skills by observing craftsman and hours of practice in perfecting his trade. Soon he was designing and fabricating railings, fencing and other ornamental iron products. Paul prides himself on the ability to guide people through the needs assessment and selection process. As he visited clients’ homes for consultations, measuring, fittings and installations he gained an appreciation for “the people behind the jobs.” He believes that a custom railing can help fit your lifestyle and personalized needs in the home. Order Factory Direct All-Time Manufacturing Company Inc. is your best source for high quality and low maintenance building products! Using carefully engineered American-Made components, our products are designed to last! Midhampton Welding is a custom welding and fabrication shop based in Quogue, NY. We serve the Hamptons and Long Island. With over 31 years of experience, Woodtalk Stairs and Rails have only the finest skilled craftsmen. We custom design, build, fabricate and install staircases and rails of all types. 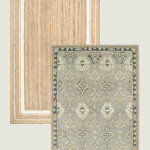 Be it curved, spiral or straight we use the finest wood such as cherry, oak, maple, poplar, beech and hemlock. 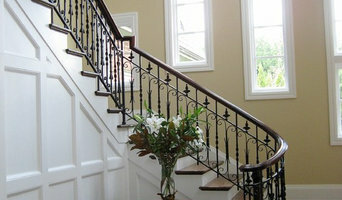 In addition we also custom make wooden/metal railings and balusters in our Central Islip workshop. We are a custom woodwork company. Specializing in stair, railings and cabinetry. Our goal is to produce woodwork that will be second to none. If you've been looking for a reliable stair construction company that offers quality work backed up by experience and professionalism, Step By Step Stairbuilder can help. We're located in Deer Park, New York and we offer stair installation, repair work, and fabrication. We can customize your stairs so they fit the look of your home or business. 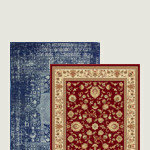 Our mission is to always provide quality service at an affordable price. 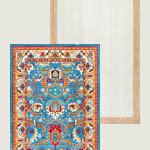 The success of our company is due to the dedication we provide to our customers. No matter the job, customer satisfaction is always our number one priority. Don't hesitate to give us a call! Stratford Steel LLC is an affiliate of CT Steel Inc. We design, fabricate and install high-end ornamental metals and structural steel. The origins of Fox Designs started in the late 1950's when George C. Fox opened a company called Fox Ironworks in Camden , NJ . The company fabricated high quality ornamental ironwork. Anderson Stair and Railing is one of the leading staircase manufacturers in Connecticut. We have been steadily growing and satisfying the architectural building industry for years. Many of our clients are builders, however, we also serve a great percentage of private residents as well. The initial start of your staircase project is first discussed in a “one on one” meeting with you and or your design consultant. All the preliminary details and materials needed to complete your exquisite staircase will be discussed during the first consultation. During this time segment, we will define what dimensions are to be specified and also incorporate the design style with the architecture of your building or dwelling before any work begins. Our specialty is custom stair work and our reputation for fine detail has awarded us the highest recognition as a leader in the design and manufacture of curved and straight staircases. Please check out the Photo Gallery links on our Home page and browse the many staircase samples from our satisfied customers. Let us help you make the staircase you’ve been dreaming about a reality! Anderson Stair and Railing are residential specialists that have been providing high quality, custom built stairs and railings since 1996. This is a family run business in which the owner Arthur Andersen is involved hands on with every project. Everything from custom designing fabricating installation on stairs and railings Anderson Stair and Railing prides themselves on crafting only high quality products that they install themselves. They do not use sub contractors. Every project is individualized with a wide scope of options available from a straight box stair to curved, circle stairs and railings. Our stair materials are all American-made. We work with numerous types of materials to provide you with a unique product that you can be proud of. Our team consists of skilled craftsmen that are focused on delivering your project on time and on budget while working alongside other professionals such as architects, builders and designers. Our finished custom-built staircase and railing will add beauty to your home. It will be one you can rely on for years to come. Give us a call today for your free estimate, we look forward to hearing from you! New England Stair Company, Inc.
New England Stair Company, Inc. is a family owned and operated business located in Fairfield County, Connecticut. We primarily serve Connecticut and Westchester County, New York. We work with other professionals to design, engineer, fabricate, and install the perfect stairways for your project. We started as a wood stair manufacturer and have evolved to provide all types of stairways, including wood, metal, glass, and cable. Our Sales and Design Department thrives at making your stair concepts into stairways! 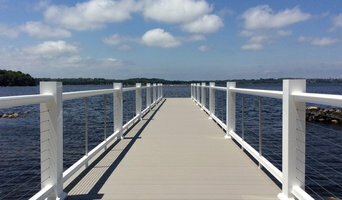 We design, fabricate, prime, paint and install welded steel railings in Rhode Island. We are a family owned and operated business located in Coventry since 1963. 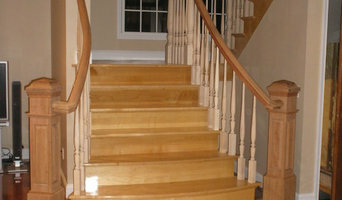 Island Custom Stairs is Long Islands premier custom stair building company. We specialize in designing, manufacturing, and installing high quality custom stairs, balusters, and hand rails, designed to bring value and beauty to you home on Long Island, NY. Island Custom Stairs is family owned and operated and has a background of over 40 years in providing custom staircases and millwork to both residential and commercial clients on Long Island and New York metro areas. We design our staircases and custom rails to provide the functionality and the attention to detail necessary to bring value and style to your home. Island Custom Stairs has the experience and expertise to successfully install staircases as our work is manufactured at our company headquarters located in Medford, NY. ESP Metal Crafts has been manufacturing the highest quality hospitality products and components for almost 50 years. We work directly with owners, builders, contractors, architects and interior designers to bring their visions to reality. By working directly with us — the manufacturer — our clients benefit from greater control and flexibility, streamlined delivery times, and significant cost savings.